When I was in high school, I remember as a freshman I started getting into alternative music, and one of the bands I found early on was The Cure, mostly because of the song "Just Like Heaven" from "Kiss Me, Kiss Me, Kiss Me." But around that time, the album "Wish" was coming out. Now a lot of people wouldn't get on board with "Wish" until "Friday I'm In Love" was a single, but I was hooked from the moment I heard the buzzing, twinkly guitars of "High," the first single. And I was in gym class talking about it with a guy named Dustin Sudduth, who told me that "Wish" was a great album, but it didn't compare to their last album, "Disintegration." I hadn't heard "Disintegration," so I picked up a copy. And to this day, I'm still not sure which is better. 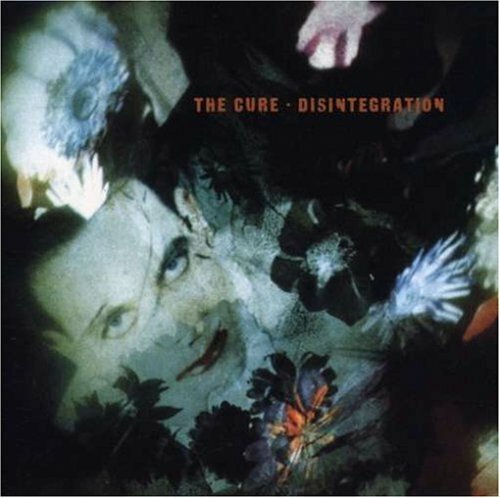 But today I want to talk about "Disintegration" because a) it was The Cure's best selling album, and b) it had the single that almost everyone's heard, "Lovesong." The Cure have been around a long time, with 13 studio albums under their belts. They've also had something of a revolving door membership, with singer/guitarist/songwriter Robert Smith the only permanent fixture, although a number of band members have left and come back. When "Disintegration" was released in 1989, their label thought it was probably career suicide. What they'd hoped for was something poppier, to build off of the fans that "Just Like Heaven" had drawn in. Instead, what they got was one of the most hallucinogenic albums ever to be unleashed on the mainstream. Full of heavy synths, dreamlike guitars, wall-of-sound effects and a gloomy yet fascinating song, it was almost as if Smith decided to take all of the goth things about the band and ratchet them up to the point where they didn't make sense any more. From the opening lush daybreak of "Plainsong" to the closing slow walk goodbye of "Untitled," everything about "Disintegration" is in the state of falling apart, just like the name. But amidst all of this, there's some amazing pop songs dancing among the brush - "Lovesong," obviously, but also the almost unbearably wounded heartbreak of "Pictures of You" or the spidery strings of "Lullabye" or the hypnotic sheen of "Fascination Street." You could argue what the best Cure album is, but in the end, that's a personal question. For me, "Wish" is still going to be my favorite from them, but when I lived in Nebraska, at the first rain of autumn, I would always put on "Disintegration" and sit and watch the rain come down. It's just that sort of record.